Aura-Soma ArchAngeloi help to focus your intention, better recognise your accomplishments during times of change, and bring you closer to self-understanding. They support the greater potential of an individual, group or community and are the ideal addition to a holistic wellbeing programme and the perfect complement to Aura-Soma’s Equilibrium system. Similar to Aura-Soma Quintessences, the ArchAngeloi are paired with specific Equilibrium bottles, in this case, B95 through to B101 and B104. If you choose an Equilibrium bottle that is in that range, your ArchAngeloi is a direct correspondent. But they can also be chosen through the colour relationships of bottle selections. Each ArchAngeloi corresponds to the Archangels, a higher level of Angelic mediators between the Human and the Divine. Introducing Archangeloi into the energy field can help aid connection to, and expression of, your ongoing soul-purpose and the highest possibility for this life. Use sparingly whenever you feel your colour levels need topping up throughout the day. Press one short spray over the left shoulder, one short spray above the crown and one over the right shoulder. 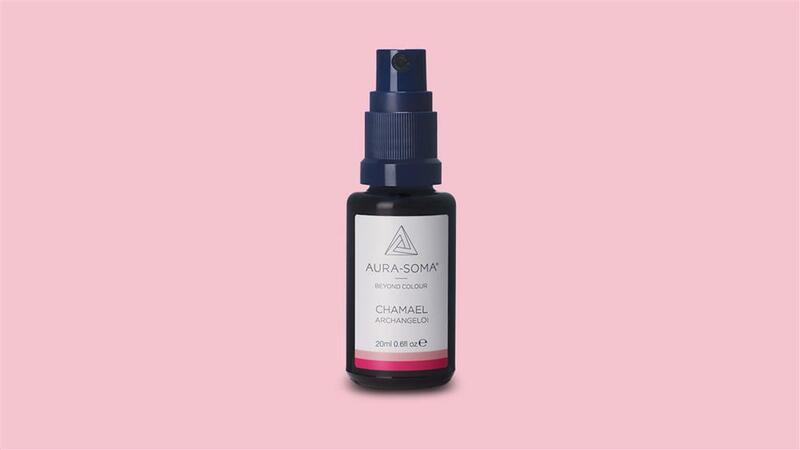 Would you like to try Aura-Soma ArchAngeloi? Find your nearest practitioner.